A few years ago I saw a tee-shirt with The Beatles logo on it and the legend underneath, ‘The Beatles are dying in the wrong order’ which I suppose, albeit tongue-in-cheek, is perhaps the cross that Paul McCartney bears in relation to how he is perceived, and certainly in comparison with his old writing partner John Lennon who is often thought of as the cooler half of the pair, the one with the greater legend perhaps, and one which is only enhanced by his early demise. But, and here is a perhaps unpopular and controversial viewpoint, for me, other than a couple of very obvious highpoints of Lennon’s, its McCartney who will have, in the end the greater legacy. One thing is for certain and that is McCartney can write a hook, a catchy tune, he can craft a tune. And this is a talent he shows in spades on his new album, Egypt Station, featuring, as it does sixteen lovely songs. 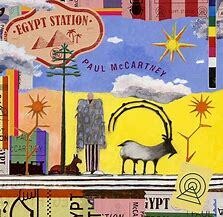 Egypt Station is a melodic and perfectly paced collection, each song, as McCartney said in interview ‘like a different station’ on a train journey; the emphasis is certainly on it being a concept telling a continuous story. Having always been a talented musician, with an ear for the musicians who’ll be able to produce work worthy of his writing skills, McCartney is a master craftsman; and one from whom many younger contemporaries will, and should, continue to learn from. Macca is guru like in his legend, an impression only confirmed by this album. 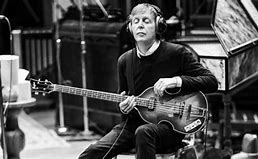 McCartney, despite being now 76 (and with the obvious issues that brings to, in particular, the voice) and perhaps entitled to sit back and take things easier, seems as on fire as he always has been with his passion for creating full on rocking clever music undiminished. And with this album Macca has proven his relevance, talent and longevity…and long may it continue.